Education is an integral part of successful certification and contributes to a larger success of both organizations and individuals. TUVADRIA, with the help of its professional team and partners, provides its clients with appropriate seminars, training, courses, workshops, etc. Become a competent internal auditor of management systems. Internal auditor training is intended for organizations which have a certified management system, which are in the preparation and implementation phase or plan to implement a management system in line with standards ISO 9001, ISO 14001, OHSAS, ISO 22000 or HACCP. Quality management representatives study methods and tools of development and implementation of a quality system in an organization. An additional aspect of education is the preparation of participants for their role and tasks in maintenance, assessment and constant improvement of quality systems. Quality manager is able to build a quality management system, to implement and develop it through establishment of an improvement process. Success of an audit depends on the knowledge, behaviour and social competence of the auditor, which means that an auditor contributes largely to a continuous improvement of an organization. Auditor qualification enables you to conduct an evaluation and assessment of management systems in line with organization’s goals and established audit goals. Certificates are issued and registered at the Systems and Personnel Certification Services in Germany! SCC rules from 2011 prescribe that, from 1 January 2012 onward, exams for personnel and personnel certification may be conducted only by an accredited Personnel Certification Service in line with ISO 17024. In the late December 2011, TÜV Thüringen, thereby TUVadria d.o.o. as well, was accredited by the German accreditation body DAkkS for SCC personnel. 24-session training according to the TÜV Academy or SCC committee curriculum (in case there are more participants, this is conducted in-house at the company) – after the training, each participants is awarded by TÜV Academy a certificate on SCC training stating the topics covered. preparation of candidates for an exam which lasts 105 minutes and consists of 70 multiple-choice questions for operational management and 60 minutes with the total of 40 multiple-choice questions for operational personnel. 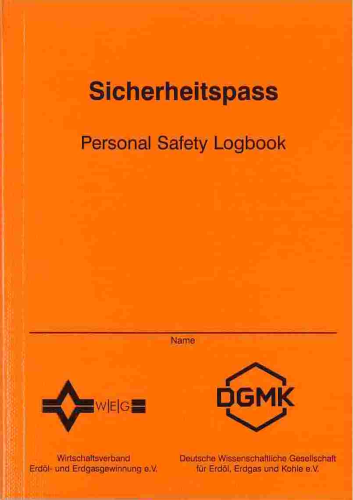 After the have passed the exam (the minimum of 70% of answers are correct), each participants shall be awarded a certificate issued by the TÜV Thüringen International Certification (in German or English) and a Personal Safety Logbook containing data on employer and logbook owner which shall be valid for 10 years. The advantages over a SCC training abroad are: training and exam are in the local language and prices of the service are significantly lower. The person the PS Logbook and certificate have been awarded to is their owner and not the company. Employee shall keep the PS Logbook safe and present it upon a request by relevant EU institutions. Extensive experience which characterizes our inspectors with valid European accreditations is a guarantee for efficient work and fulfilment of your requests.